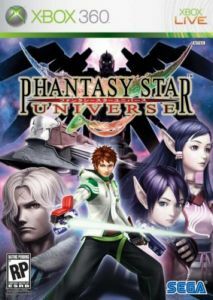 Developed by SEGA Studios, Phantasy Star Universe offers long-time fans the single-player experience they have been clamoring for. The solo adventure features more than 40 hours of gameplay as well as an emotionally engaging story, stunning cut scenes, and a strong cast of characters with very distinctive personalities. The title's hero is Ethan Waber, a 17-year old cadet who begins his epic journey by first rescuing his sister at the GUARDIANS, a colony under siege by mysterious life forms known as THE SEED. 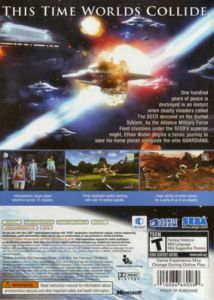 In Online Mode, players are given the opportunity to create their own characters from a range of races, as they explore all three planets in the Gurhal system. Fans can travel with their friends as a squad of six adventurers, enter urban sprawls teeming with hundreds of other players, and build their avatars into powerful warriors. Phantasy Star Brand Heritage: Since 1988, the franchise has evolved, and produced seven series to date ... building itself as one of the most well established RPG franchises. Multiplayer: Create a squad of up to six players to explore the universe and conquer quests. Endless gameplay: In addition to over 40 hours of offline gameplay, gamers can spend endless hours online customising characters, searching for rare items, leveling up, and joining friends for exhilarating new quests. Character Customisation: Go beyond standard customisation for your character with precise measurements, an endless colour palette, and outlandish outfits. Massive enemies: Over 70 unique enemy species, totaling over 220 enemy variations.